I'm on holiday so I get to spend some quality time with my craft room. We haven't seen each other for a while so I've been enjoying being a little creative again. This week I can also join in the JAI Challenge, Just Add Texture. I must admit I had so many ideas for this challenge but in the end I decided to go with a clean and simple look while using a media out of the pantry. I Decided to add texture by using cup cake paper cups. I used mini cup cake papers with punches. It's a bit fiddly getting the thin papers into the punch so I used a post it note to help slide them through. 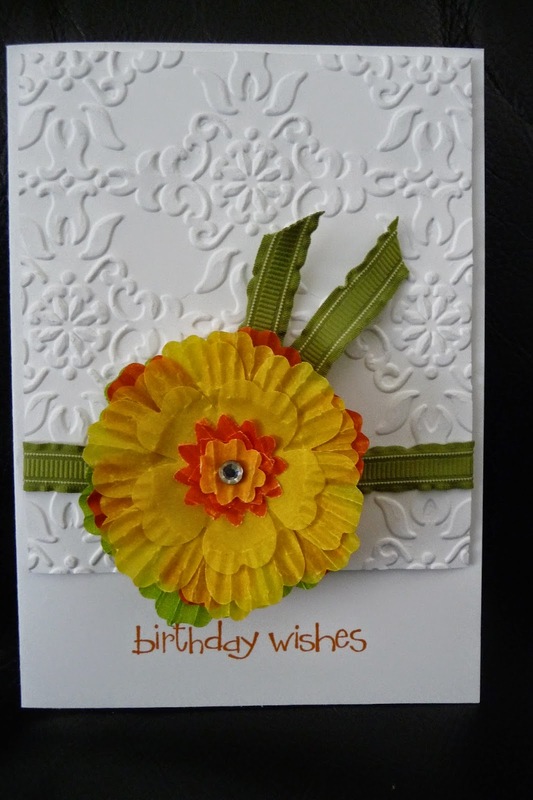 I also added texture to the background by embossing the card. What a super clever idea to raid the pantry for some fun crafty items! 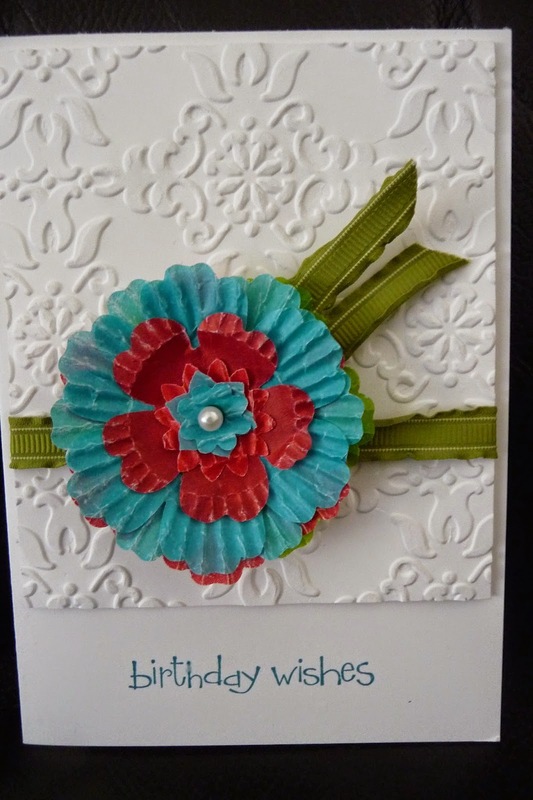 Lovely cards, so bright and fun. Thanks for joining our 'texture' challenge over at Just Add Ink this week Nadine.